County Players does not have its own parking lot. We suggest that you arrive and park early. On-street parking is available in addition to municipal parking lots on Mill Street. County Players is not responsible for parking tickets, towing fees, or damage incurred to cars of patrons. Please obey all parking signs and regulations. 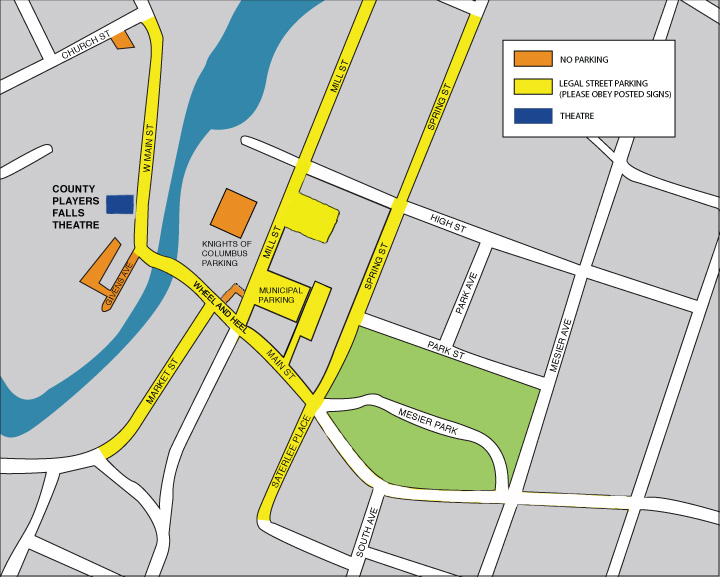 For each performance, County Players designates a drop-off and pick-up area in the front of the theatre for patrons who wish to drop off and pick up passengers before/after the play. © 2019 County Players Inc.